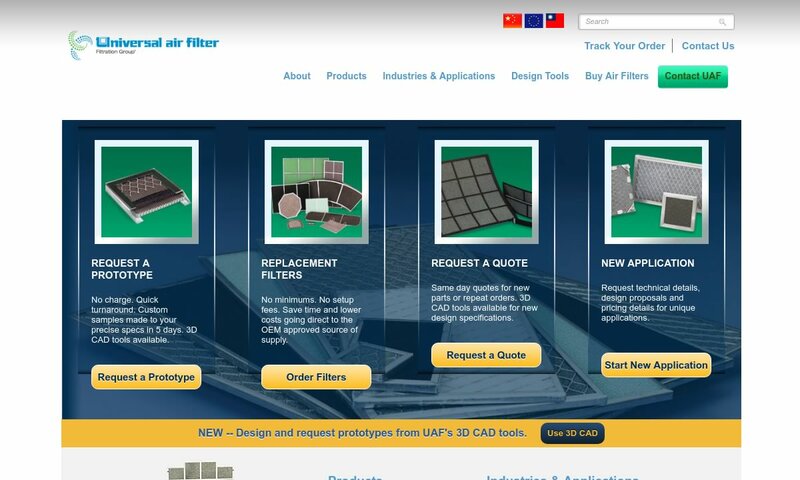 A reliable source for Air Filters information and a resource for accessing leading Air Filters and suppliers. Air filters, also known as air purifiers, are devices designed and used to remove or reduce the presence of unwanted particles from contained air. Examples of such particles include dirt, gases, molds, and odors. They’re also designed to generally improve air quality. Types of spaces and products that air filters clean include in-home and commercial heating systems, ventilation systems, air conditioning systems, humidifiers, engine components, cars, and direct air machines. Particles that individual air filters remove fluctuate, but some include mold spores, animal dander, and dust and pollen. Air Filters Air filters, also known as air purifiers, are devices designed and used to remove or reduce the presence of unwanted particles from contained air. Examples of such particles include dirt, gases, molds, and odors. They’re also designed to generally improve air quality. 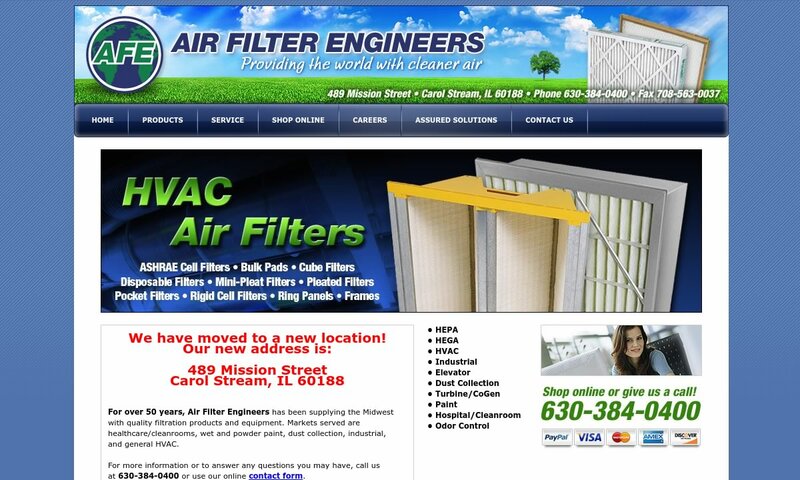 Air Filters, Inc. is a specialty filter company providing quality service to all of it's customers. Our highly trained personnel provide expert recommendations on HVAC, industrial ventilation, and air purification systems. Sidco Filter Corporation has over 30 years of industry experience, & we are waiting to serve your needs! We manufacture air filter elements to interchange with over 100 different manufacturer's filters. Universal Air Filter specializes in designing and manufacturing air filters for electronics, from broadband to industrial to defense electronics. 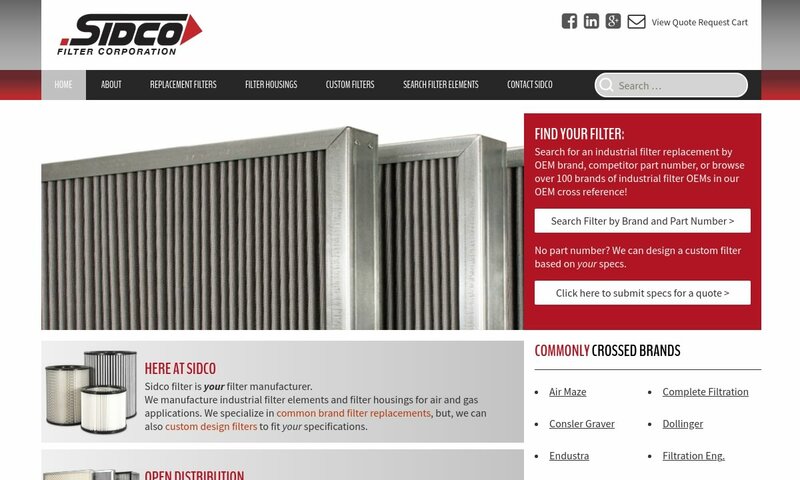 Founded over 50 years ago, we have been providing exceptional air filters since our inception. We are dedicated to ensuring that our customers are receiving the highest quality products and services in the industry. 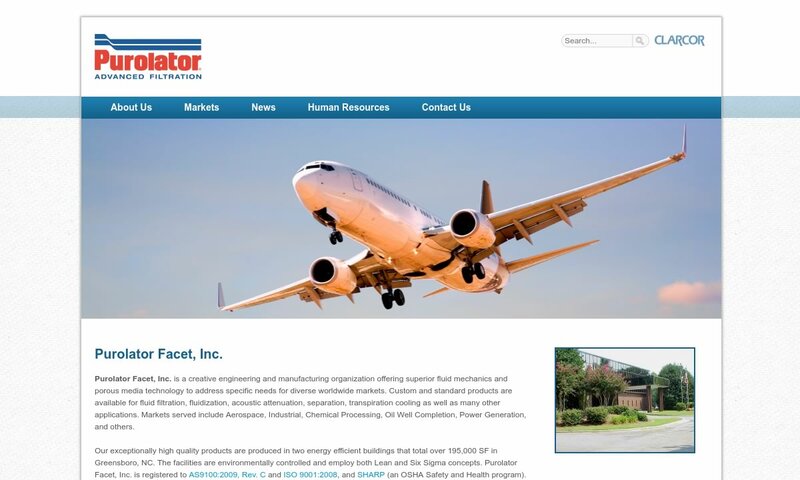 Purolator Facet, Inc. is a creative engineering and manufacturing organization offering fluid mechanics and porous media technology to address specific needs for diverse markets. 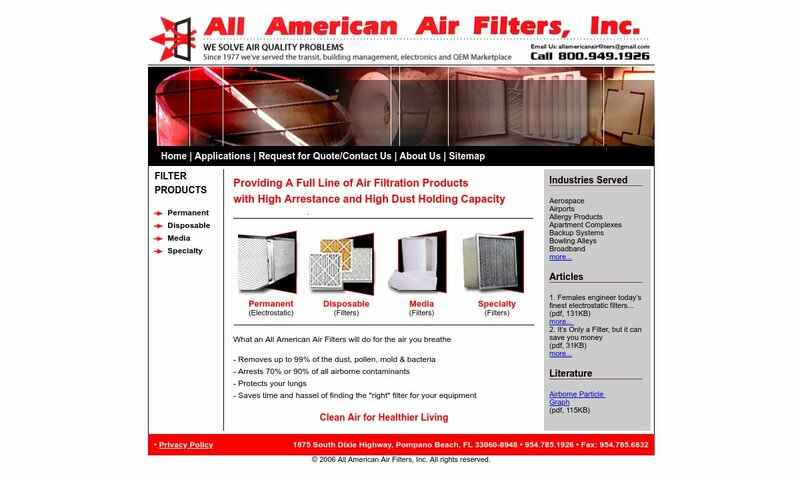 All American Air Filters, Inc.
A manufacturer of air filtration products with high arrestance & high dust holding capacity, All American Air Filters, Inc. produces recyclable & eco-friendly filters. Air filters were born during the 1500s, when people who worked in hazardous environments began wearing respirators over their noses and mouths. These kept out potentially harmful substances like gases, fumes and dust particles. In 1799, a Prussian polymath named Alexander von Humboldt invented a respirator for mining. In 1848, American Lewis P. Haslett patented the earliest air purifying respirator, which he called “Haslett’s Lung Protector.” It consisted of a one-way clapper valve and moistened material, such as wool, that prevented the wearer from breathing in dust. One of the most important types of air filters, the HEPA (High-Efficiency Particulate Air) filter, was invented late during World War II. Scientists and engineers from the U.S. Atomic Energy Commission and the U.S. Army Chemical Corp worked together to develop this filter, which they referred to as the “collective protector filter,” in order prevent themselves from breathing in radioactive chemicals while they worked on the Manhattan Project. Initially, the filters were made with asbestos, but this changed once scientists just how dangerous asbestos inhalation is. Once WWII was over, the U.S. government allowed manufacturers from the private sector access to the HEPA filter design, and HEPA filters quickly became popular. During the 1960s, manufacturers and governments began focusing on quality assurance. This was prompted after the Atomic Energy Commission became aware of a litany of complaints about malfunctioning filters. 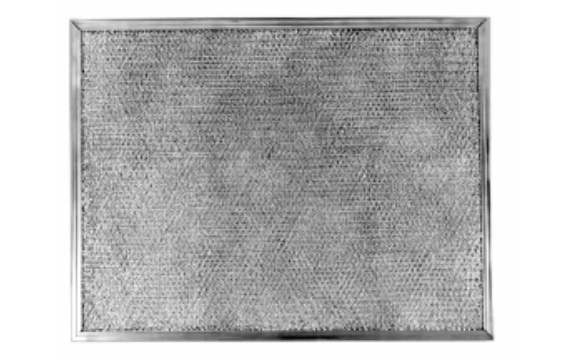 Another air filtration product of the 1960s was the oven clean air filter, which was invented in 1963 by German brothers Klaus and Manfred Hammes. The goal of the filters was to reduce the black dust that built up inside oven walls. Consumers found, though, that the filters did not only that, but reduced asthma and allergy symptoms. So, the Hammes’ oven filter also quickly became popular for use in indoor air quality improvement. Spurred on by this, Klaus Hammes went on to invent air filters for forced air heating and cooling systems, as well as radiators and other heating equipment. Later, he and his son invented the cabin air filter for Mercedes-Benz USA. In the modern world, air filters are becoming increasingly essential. As the effects on human health of different airborne substances and particles make themselves more and more known, their need becomes clearer. Fortunately, to match the need, air filtration technology has become more advanced. Generally, air filters are made up of some sort of fibrous material and a screen through which air passes. This screen may be pleated, it may be a filter bag, or it may have any number of other designs. Air filters vary by efficiency, materials used, and the air velocity needed to make them work. Air filter manufacturers, like Trion (the manufacturers of the Trion Air Bear), may make filters using a myriad of materials including fabrics, paper, plastics, metals like stainless steel, carbon, and foam. They base the choice of which filter media to use on the application and its standard requirements. For example, manufacturers often use plastic materials to make electrostatic filters, because plastics increase the natural static charge of friction, attracting dust particles. They choose paper when the customer is looking for a disposable filter. They choose fabric, on the other hand, when they want to provide a reusable filter that can filter particulates in gas. Metals are best for heavy duty applications. Meanwhile, filters like carbon and charcoal are best used in the water, where they cause chemical reactions that allow them to effectively capture pollutants. As they design your air filter, manufacturers think about a variety of different application specifications. Such specifications include the density and size of the particles you need to filter, the type of air your filter will service (indoor air, outdoor air, air pollution, etc. ), the level of air purification you require and the level of filtration efficiency you require. Based on these specifications, they can decide what type of filter material you need, your filter design, the filter density you require, the filter power source and the filter power source level. Also, based on your required air filter efficiency, they can determine the proper size, length, and density of your filter fibers and the velocity with which air will move through them. To make the filter perfect for your space, manufacturers can customize it by media density, width, length, frame shape and thickness. Note that dense filters capture a greater number of particles, meaning they offer better filtration services. However, because of this density, they also require a higher level of power, or higher velocity, to force air through them. To attend to the various needs of their customers, manufacturers have created a number of specialized filters, such as HEPA filters, ULPA filters, inline filters, air compressor filters, membrane filters, HVAC filters and electrostatic filters. HEPA (Highly Efficient Particulate Air) filters and ULPA (Ultra Low Particulate Air) filters are both used in the medical field, where they provide the high levels of filtration needed to protect delicate health. They are so effective, in fact, that they are frequently used to meet the strict requirements of many governmental and industrial standards. They remove such contaminants as allergens, irritants, viral and bacterial infections, and microbes. Inline filters, which may be used in pharmaceutical and chemical applications in combination with HEPA and ULPA filters, attach to preexisting tubing or ductwork to remove unwanted liquids and contaminants from air streams. These filters, which are electronic air cleaners, are supported by filter materials such as cotton, acrylic, electrostatic fabric, fiberglass, aluminum wire screen, paper, polyester, and any combination therein. Air compressor filters, more commonly known as compressed air filters, as their name suggests, are used to remove contaminants from compressed air. Compressed air filters are important because so many processes create compressed air that is full of moisture, oil, rust, dust, and other problematic and potentially harmful substances. Membrane filters, sometimes called sieve, screen, or microporous filters, are useful in the sanitation of wastewater, where they can remove macromolecules, colloids, and particles. They do this by engaging in microfiltration, a process in which contaminated liquid is passed through a pore-sized membrane. HVAC filters HVAC stands for Heating Ventilation and Air Conditioning. HVAC filters, therefore, attend to the needs of in-home and commercial heating, ventilation, and air conditioning systems. Various types of HVAC filters include panel filters, electrostatic filters, pleated filters, washable filters, green filters, and HEPA filters. Electrostatic filters offer a near-permanent filtration screen solution. Many air filters require power generation to create the air velocity required to push air through them. The electrostatic filter, in contrast, does not require a power source in order to be highly effective. Furnace filters are air cleaners designed for use with both residential and commercial furnaces. There, furnace filters capture allergens and irritants such as dust pollen, pet dander, dirt and mold spores. Gas filters, also known as fuel filters, are filtration products that filter out particles like dust and rust from gas. Most often, these products are found in internal combustion engines. Oil filters are filtration systems that remove contaminants from oil used in machinery. Typical oil cleaner applications include lubricating oil, engine oil, hydraulic oil and transmission oil filtering. Those oil filters that work with hydraulic machinery can be called hydraulic filters. In addition to all of these, some specialty filters, such as exhaust filters and carbon air filters, are available for use with odor and gas removal. Exhaust filters are designed specifically to catch and filter out pollutants, such as soot, from vehicle exhaust pipe before they reach the air. Air intake filters are air cleaners designed specifically to filter air entering air intakes. Air intakes are openings that take in air for various purposes. Air intakes designed in cars are bring in combustion air for the internal combustion engine. They are also used with gas turbines and airplanes. Carbon air filters work a bit differently from most filters, by generating chemical reactions within itself to attract and remove pollutants from air streams. Examples of common air filter accessories include vent hoses adaptors, adaptor flanges, filter vent tubes, valve covers, replacement air filter elements and hardware kits. For advice on the best accessories for your application, talk to your air filter supplier. To ensure both the highest level of air filtration and maximum efficiency, you should first make sure that the density of the media that you will be filtering matches the capabilities of the filter fiber material and density. Depending on your filter type, you may also need to check that the media you’re filtering matches your filter’s adhesion capabilities. If you regularly clean and service your air filtration system, you can expect it to perform well beyond its replacement date. Air filters are beholden to a number of different standards, depending on their application, industry of use and location. Many industries do not put out their own standards, but go by the standard recommendations of trusted organizations, such as ASME. For in-home air filtering, the EPA goes by a rating system that assigns efficiency ratings from 1 to 20. (Efficiency is based on a filter’s ability to resist airflow, ability to remove particles, as well as its general durability.) This system is called MERV, which stands for Minimum Efficiency Reporting Value. It is put out by another trusted organization, the American Society for Heating, Refrigerating, and Air-Conditioning Engineers (ASHRAE). In addition, in order to qualify as a HEPA filter, a filter must meet certain standards, such as those put out by ASME or ISO. In addition, they must be tested and proven to remove at least 99.97% of all air particles that are greater or equal to size greater to 0.3 micrometers (µm) in size. 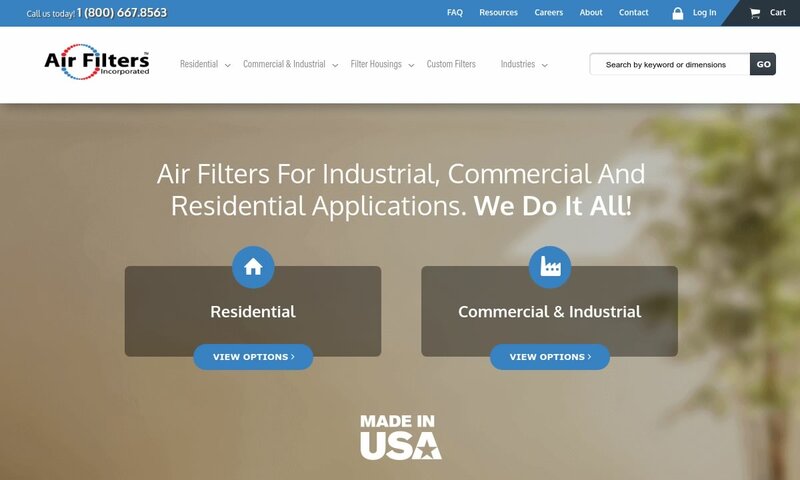 If you’ve decided that air filters are the answer for your application, you need to work with a proven manufacturer who can provide you with high quality precision filtration products.  To help you on your way, we’ve provided you with comprehensive lists and profiles of some of those manufacturers we trust best. Before making a choice, we recommend you put together a list of your specifications. Make sure to include: your budget, your timeline, your delivery preferences, your standard requirements and whether or not you wish to have access to factory replacement filters. Since every manufacturer is different, it’s important to be upfront about your needs. By doing so, you will find a better match. Once you’ve put your list together, go ahead and browse those manufacturers we’ve listed here. Pick out three or four in whom you’re most interested and send a request for a quote. Then, talk to each of them at length. Finally, compare and contrast the services they offer, and pick the one that offers the best services for you.